On Wednesday former Saskatchewan Premier Roy Romanow expressed some regret over the cuts he made to health care while his province faced a tough economy. Speaking at a Canadian Health Coalition forum in Ottawa, Romanow admitted that pushing health care costs on to individuals was a false economy. The cuts have also created a lasting legacy for his political party, which has struggled to maintain seats in rural Saskatchewan after closure of many small town hospitals. This may be a direct lesson for Dalton McGuinty, whose government has itself toyed with the idea of reducing the scope of services at rural hospitals and delisted some OHIP coverage, particularly around physiotherapy, eye examinations, and chiropractic care. Whether we pay through our tax dollars, or pay out-of-pocket, as Canadians we still pay. Evidence would suggest the difference between the two is a single-payer (tax-funded) health system is far more efficient and equitable. The good news is that Canadians appear to support our public health care solutions in greater numbers than ever before. Some would suggest this may be a by-product of the bruising debates over health care coverage in the United States. At the CHC forum on Wednesday, it was noted that our Prime Minister failed to defend Canada’s health care system amid outright lies spread in the American media. In a recent poll conducted by Nanos Research on behalf of the Canadian Health Coalition, 94 per cent of respondents said they supported public – not private – solutions to making the country’s health care system stronger. This is the highest level of support since Nanos began conducting polls on this question. These kind of numbers should make McGuinty hesitant to accept Don Drummond’s recent shilling for private delivery of public health care. Romanow says the current debate is between those who believe health care is a commodity that should be subject to market forces, and those who believe that health care is a moral enterprise. It all comes down to Canadian values. While there is plenty of room to improve efficiency in our health system, Canada has done better than almost all its OECD (Organization for Economic Cooperation and Development) counterparts in restraining the rise of health care costs. So what advice should we provide to Don Drummond, who is presently leading a Ontario Commission to look at reform of public services? Drummond has said that he is spending about 40 per cent of his time on health care. The objective should be a high-quality single-payer publicly funded and publicly delivered integrated health system. With more than 33 per cent of Ontario’s health system remaining private (CIHI National Health Expenditure Database 2010) – the highest among all Canadian provinces – clearly there is an argument to be made that expanding Medicare could produce significant savings and improve access to those who cannot afford such excluded services as dentistry and prescription drugs. As one participant in Wednesday’s forum indicated, the right uses data combining the costs of private and public health care, but all their “solutions” are aimed at only restraining public health care. Similarly, privatization of public health care delivery is a growing concern; evidence suggests private delivery obscures transparency, raises costs, reduces accountability, is more difficult to integrate and costs more. In home care private delivery has also destabilized the workforce, creating problems around continuity of care in a sector Roy Romanow has called Canada’s next essential service. Ontario could do a better job at addressing the social determinants of health including rising social inequality. This must be the lens that we look at all policy issues. It has a direct impact on health care, particularly mental health and addictions. According to the Conference Board of Canada, inequality is growing at a faster rate in Canada than in the United States. This has the potential to be a major cost driver if we fail to address the need for redistributive policies. Major cuts to services outside of the health care portfolio could have the unintended consequence of driving up demand for health care and incurring higher costs. Mental illness costs Ontario’s economy an estimated $29 billion in lost productivity each year. Employers spend about $2.1 billion annually on disability claims, drug costs, and employee assistance programs for employees with mental health and addiction problems. Mental Health and Addictions cost Ontario another $2.3 billion in law enforcement services. Investments in mental health would yield a high return to our economy, yet Canada lags behind its OECD peer nations in funding. In 2008 Canada spent 5 per cent of its health budget on mental health services. Ontario spent just 3 per cent. The World Health Organization estimates the “disease burden” at 15 per cent. Earlier this year Ontario revealed what was supposed to be a 10-year strategy on mental health. Instead we got a three-year strategy on mental health services for children and youth. During the election Dalton McGuinty suggested new money for adult mental health would not flow until 2014, and at that, amount to only $30 million per year. This is far too little too late and will have negative consequences to Ontario’s fiscal situation and to the lives of citizens who desperately need assistance. Drummond also need not be so pessimistic about rising health care costs. Many of the investments made in the 2000s are beginning to demonstrate a yield. E-Health cost $2.133 billion from 2009-2012, and another $600 million was spent in the preceding six years by the Smart Systems for Health Agency. As electronic health records continue to roll out across Ontario, this should have a significant impact on cost. As the new systems roll out, the development costs should also come off the books. Recently the government renegotiated its existing deal with the Ontario Medical Association saving $223 million on fees related to procedures made more efficient by new technologies. Add to this the $500 million saved each year on drug costs from changes to generic pricing, and you have identifiable savings representing about a third of the annual cost rise in Ontario’s public health care system. Our concern is that with the coming austerity, investments that produce important long-term cost savings and improve quality care will be either postponed or cancelled. Significant cuts to health care could also undermine the skilled workforce, leading many to migrate to provinces facing fewer pressures to contract public health care. We are also concerned that any adjustments to current services be based on proven uptake of new services before the old services are reduced or eliminated. This has been a particular problem with divestment of services from mental health hospitals and the overall reduction of hospital beds. The Health Restructuring Commission was emphatic that no mental health beds should be cut until appropriate community-based services were re-established. Instead the beds were cut to target, but the community-based services never followed. This has resulted in near catastrophe for mental health patients, many who have been subject to lengthy wait lists or the absence of accessible services. Similarly, Ontario has among the lowest number of hospital beds per capita in the developed world, resulting in extreme overcrowding. The government regularly admits that coming to a hospital can be dangerous, but appears to have taken little interest in making these hospitals safe. This summer more than 30 patients died in the Niagara Health System due to an outbreak of C-Difficile. Studies have linked the spread of hospital-borne infections to overcrowding. 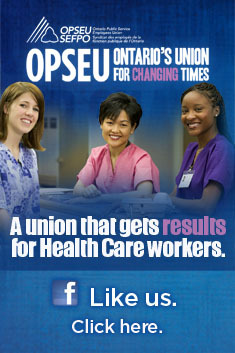 The importance of health care to Ontario’s economy cannot be underestimated. There are more than 230,000 health professionals presently working in the province. Publicly funded health care reduces the cost to private employer of workplace health plans, a significant competitive advantage over neighbouring US States. Public and private health care spending makes up 12.2 per cent of Ontario’s GDP (2010). While Canada’s total public and private health care spending is high relative to most of its OECD comparators (with the exception of the US), our public spending is closer to the middle of the pack. Denmark, France, Germany, Austria, United States, New Zealand, United Kingdom, Belgium, Sweden and Norway all spend more of their economy on public sector health care than Canada (2009). More encouraging, the level of growth in health care spending has been much slower in Canada than almost all 32 OECD nations (1993-2008) with the exception of Israel, Mexico, Germany, Italy and Switzerland (OECD 2010). Not only should we seek ways to improve our system, but we should also look at what we are doing right. The Local Health Integration Networks were meant to be a way to bring health care planning closer to Ontario communities. However, with no accountability to those communities, there is likely public reluctance to grant the kind of authority and resources the LHINs need to effectively bring about integration. With emphasis in the original legislation around the transfer of services between providers, we believe the LHINs would be better utilized exploring how we can effectively link these services together into a seamless continuum for patients. The LHINs are also hampered by a mandate to only look at half the system. How can you only integrate half a system? We look forward to the all-party select committee which will shortly be reviewing the LHINs. If Ontario wants to develop a long-term strategy for delivering a sustainable health care, the focus should be on the delivery of quality health care, which is inherently efficient. If you have quality, you have less need for costly readmission and repeated diagnostic tests. If you have quality, you achieve better health outcomes sooner. To us, this is a more sustainable future. This entry was posted in Health System, Local Health Integration Networks and tagged Canadian Health Coalition, Roy Romanow. Bookmark the permalink.